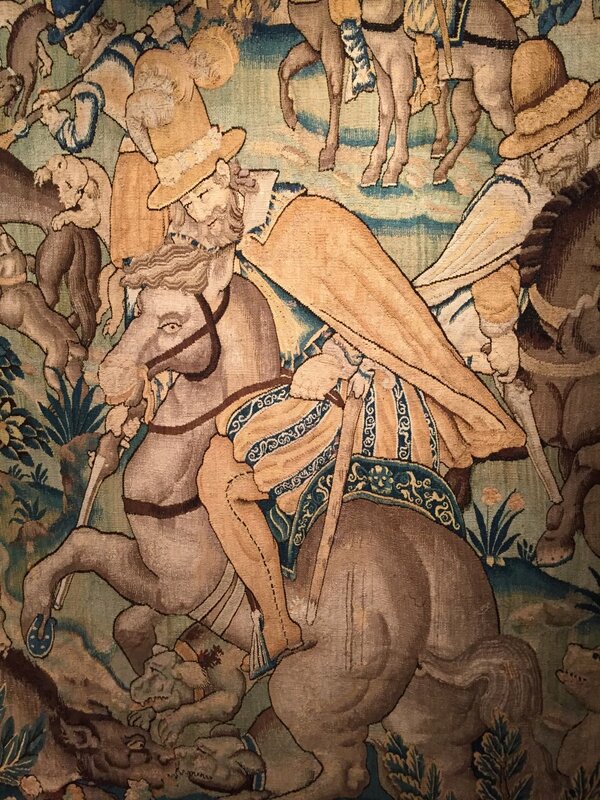 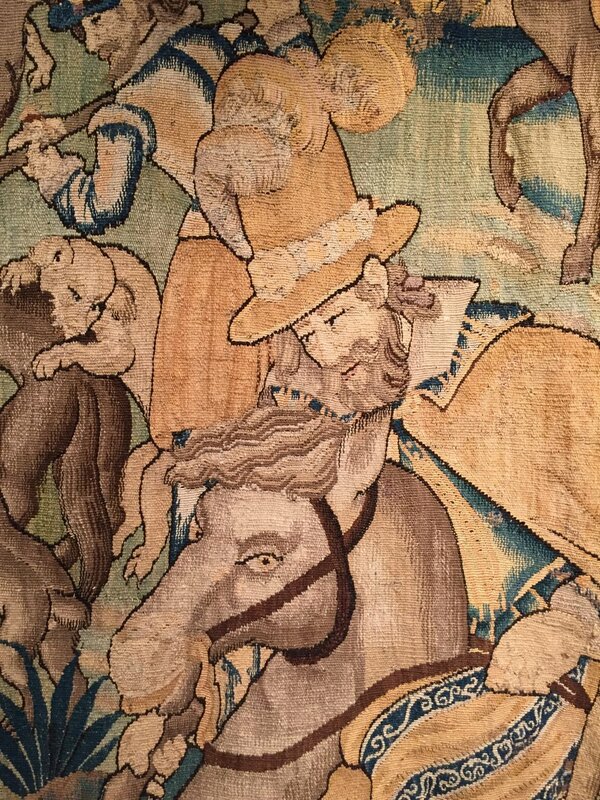 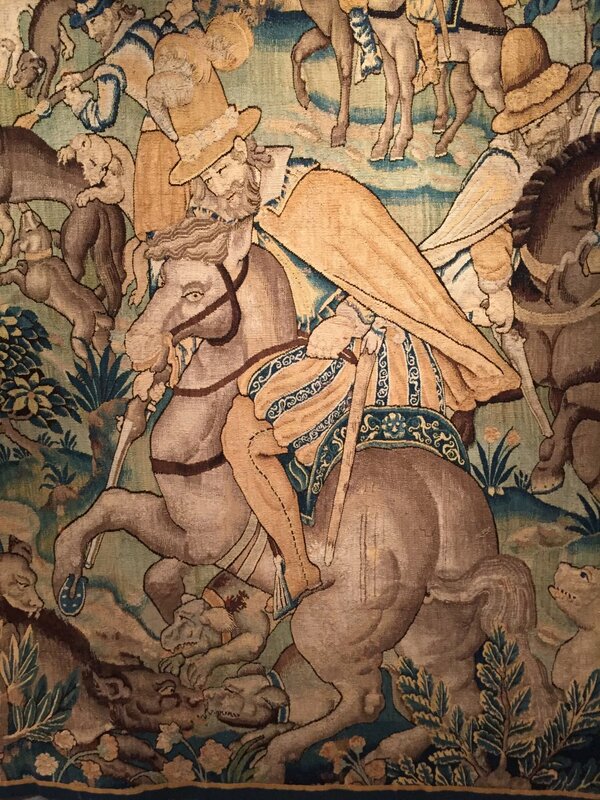 Rare tapestry depicting the king of France on his white horse. The king is shown wearing his white plume he holds a musket and adjusts a wolf cornered by dogs. 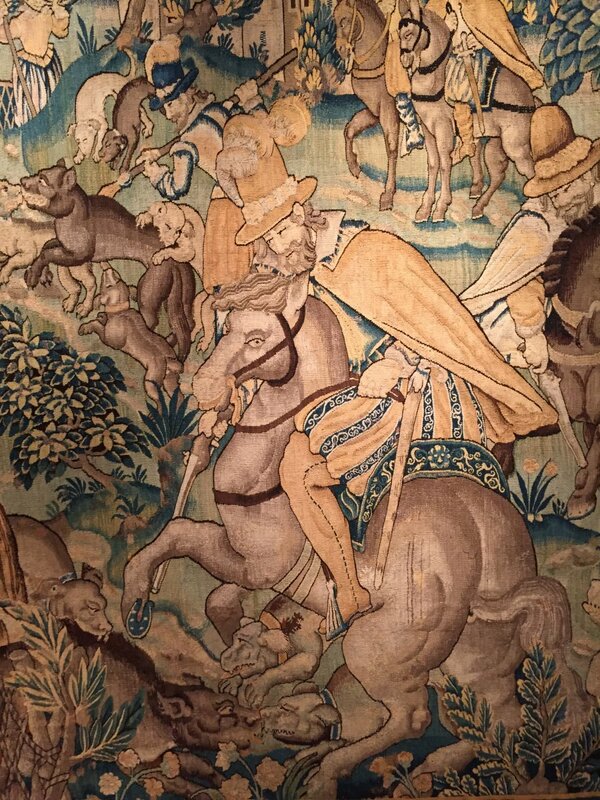 This is the king of the pack specially dedicated to this game, which consists of 24 dogs 6 large mastiffs. 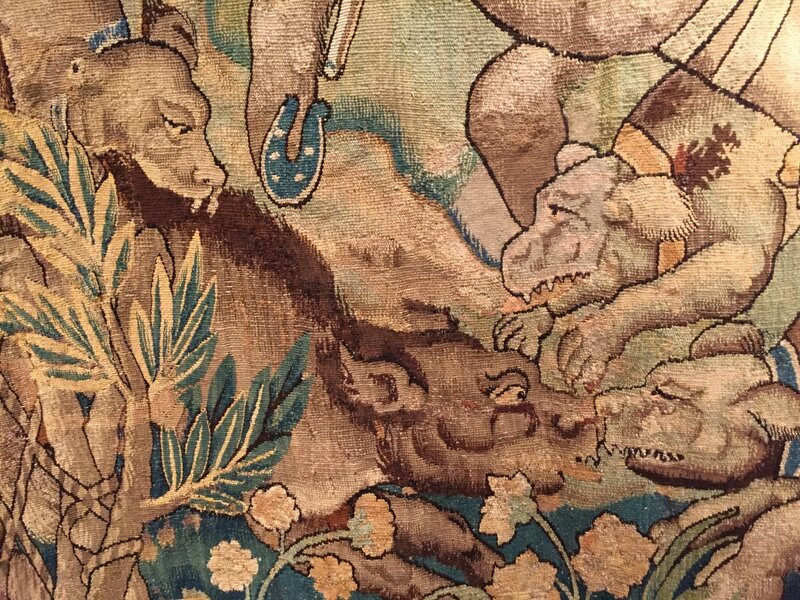 Renowned for their ferocity and able to face the wolves, they are recognizable by their flattened noses and their powerful musculature. 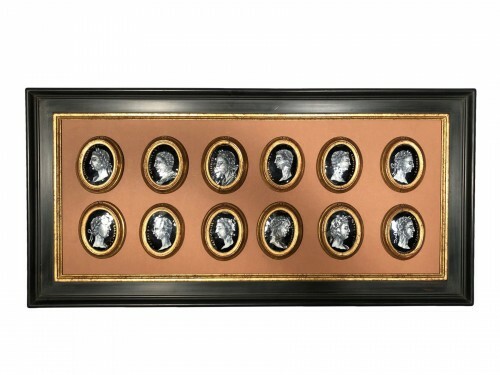 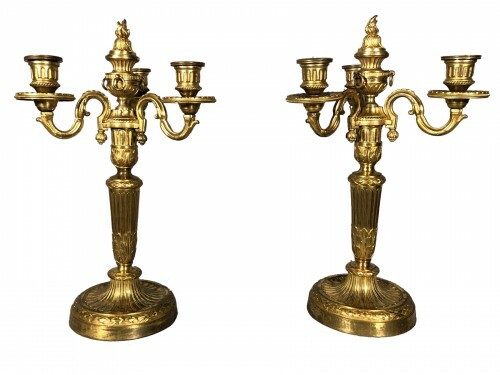 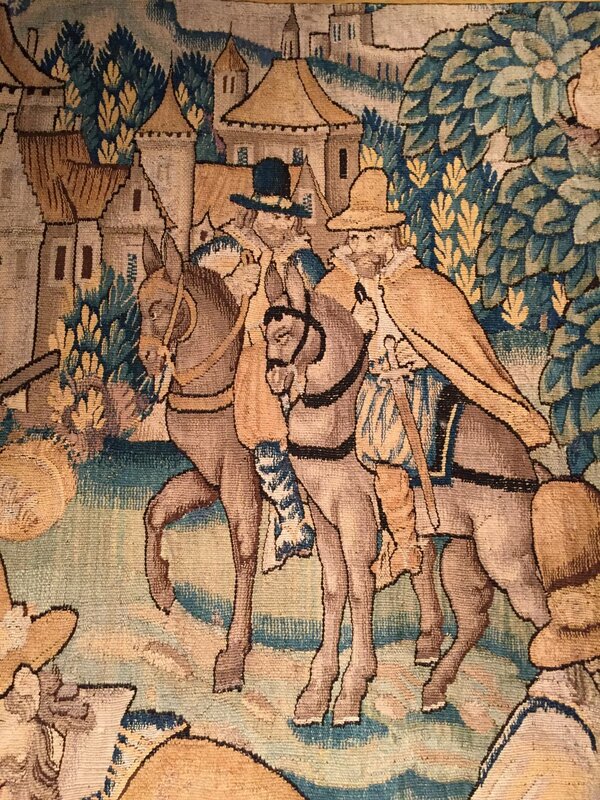 Region Aubusson and Felletin end of the sixteenth century, early seventeenth century. 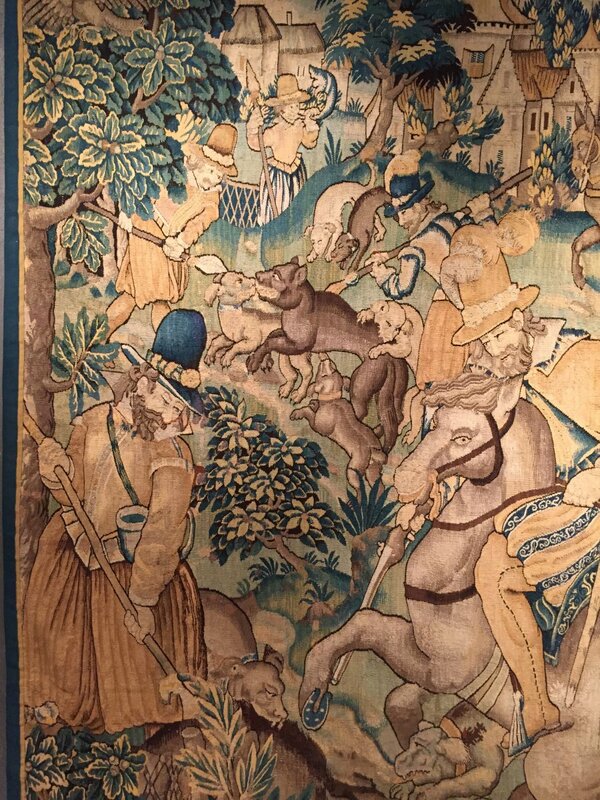 In 1599 the France faced a resurgence of men and wolves that attack livestock, King Henry IV is obliged to grant hunting rights previously reserved for the nobility. In January 1601 it by decree formalizes the authorization to hunt wolves. 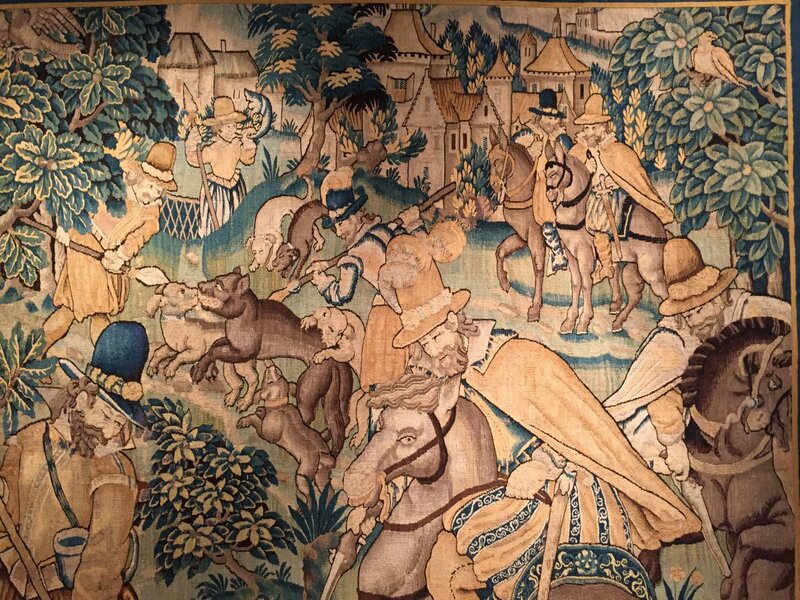 That same year he banned imports of Flemish tapestries, leading to a strong development of French workshops. 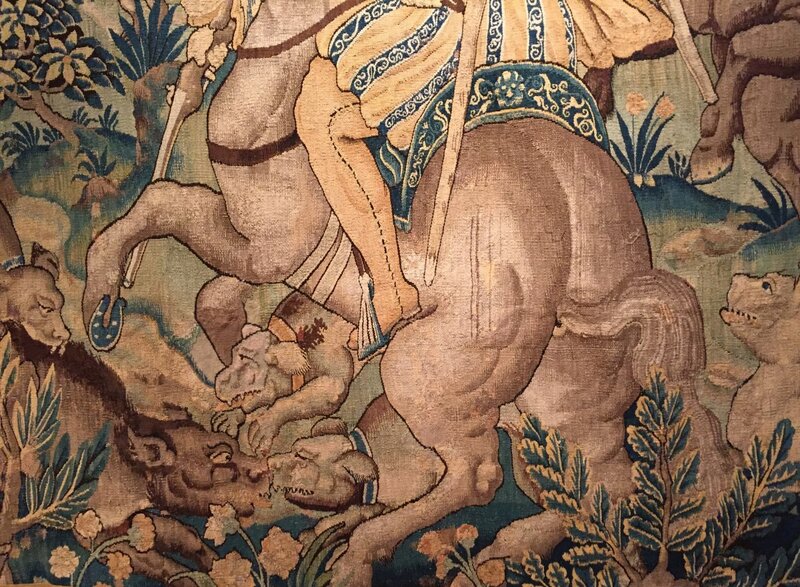 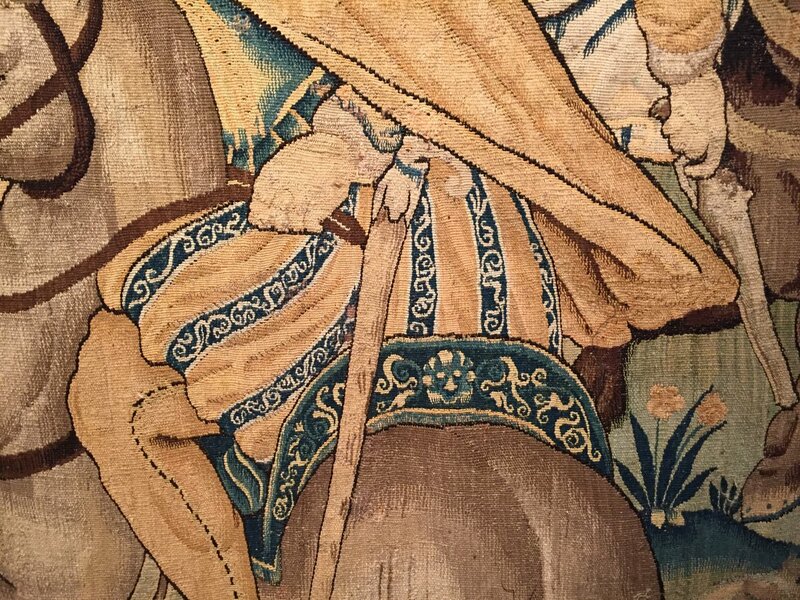 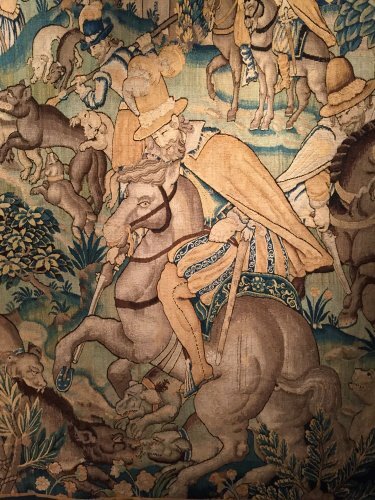 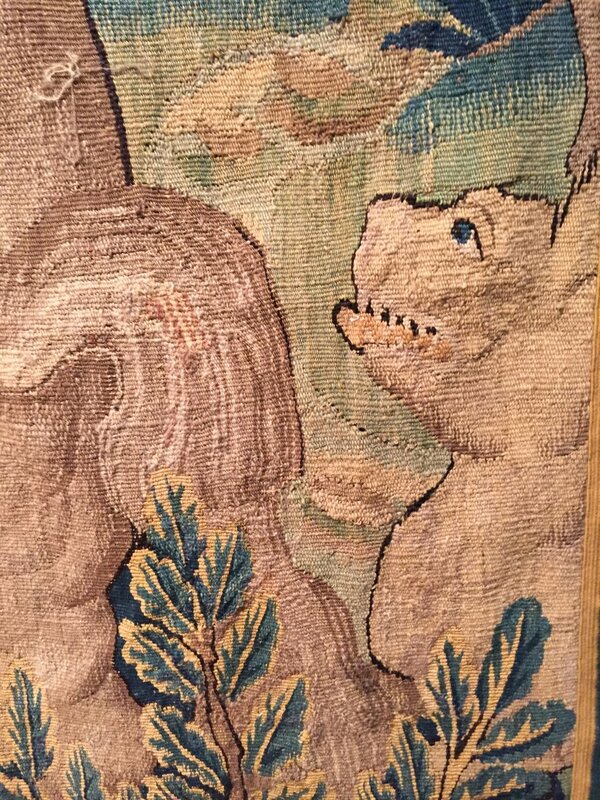 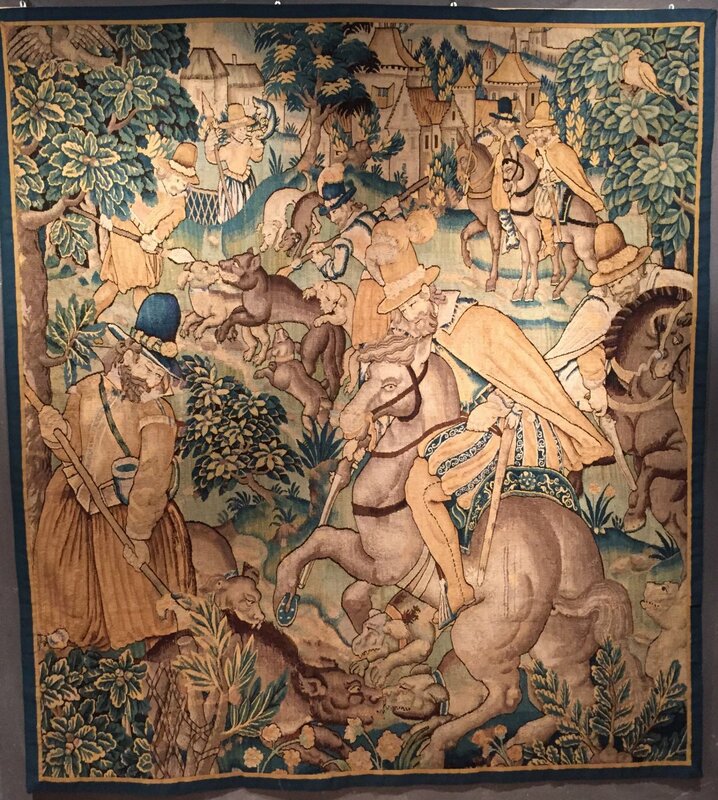 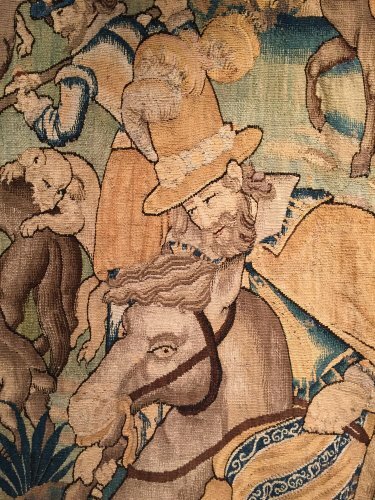 It is likely that our tapestry dates from this period, the weavers inspired by the news and thanked the king through a series of royal hunts lions, hares or unicorn with a few copies are known to date. Condition: Very good condition, lack the border. 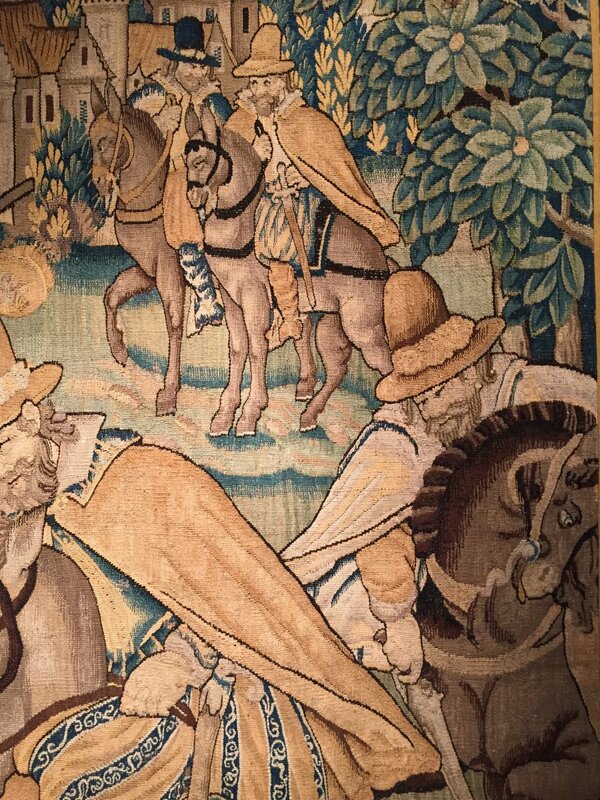 Reproduced page 29: Knight mp Bertrand, Aubusson tapestries and Felletin 1988.